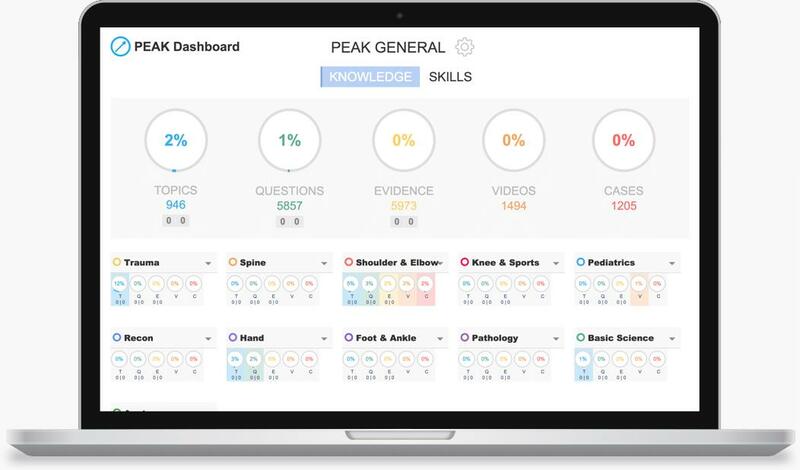 Our PEAK Premium Subscription combines Premium Content & Premium Features to help you individually learn more efficiently by focusing on what matters, when it matters. 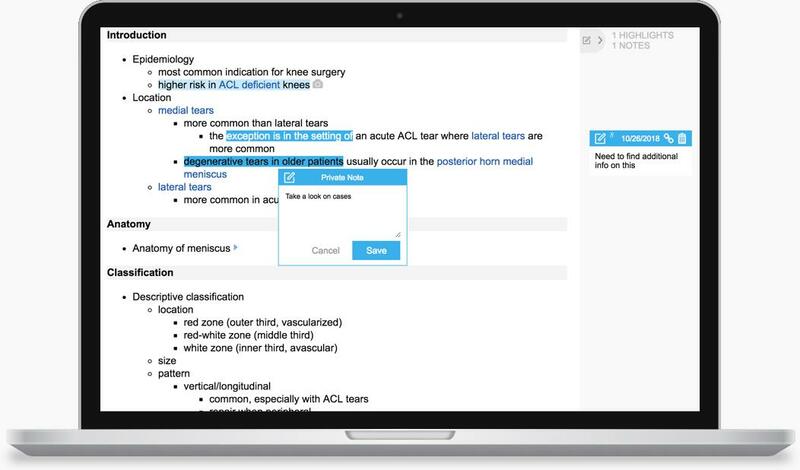 Take the thinking out of learning and follow one of our daily Study Plans to ensure you are well prepared for your board examination or simply up-to-date on your orthopaedic knowledge. Our Adaptive Calendar makes it easy to stay on track. 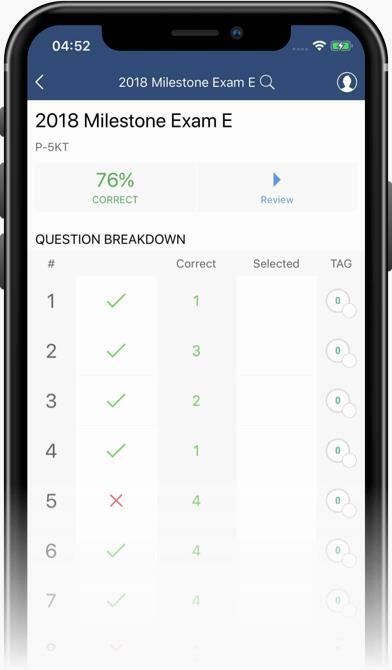 Use our Monthly Diagnostic Milestone Exams, with never been seen before questions, to identify your areas of weakness so you can focus on what is most important. Access 3700+ Board Style Question not available in the Free Qbank, with new questions added each month. Take them on the web or on the synchronized Bullets* App. 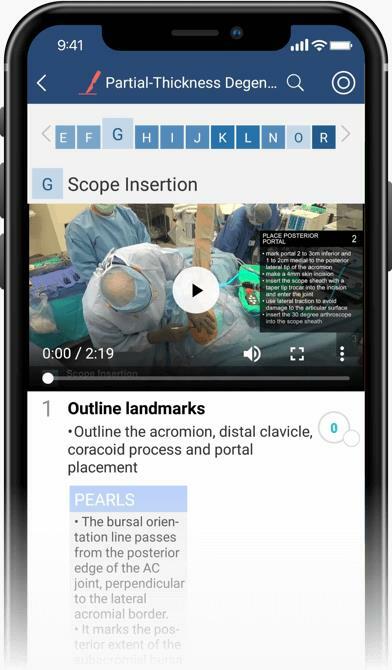 Explore our premium video library that include Orthobullets Core Webinars, and surgical techniques from experts around the world. Tired of forgetting stuff on the screen? Use Highlighting & Notes to absorb it. Took valuable notes in class? Upload them as a file to your personal library in the cloud. 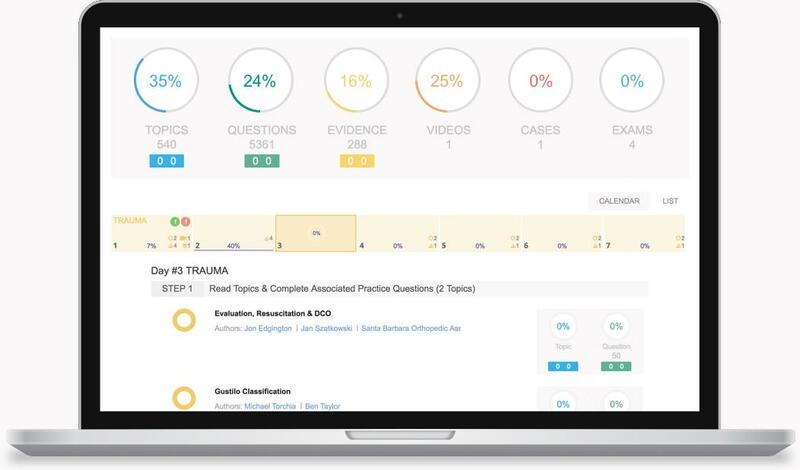 A preparation & assessment "checklist" with 1500+ learning modules. 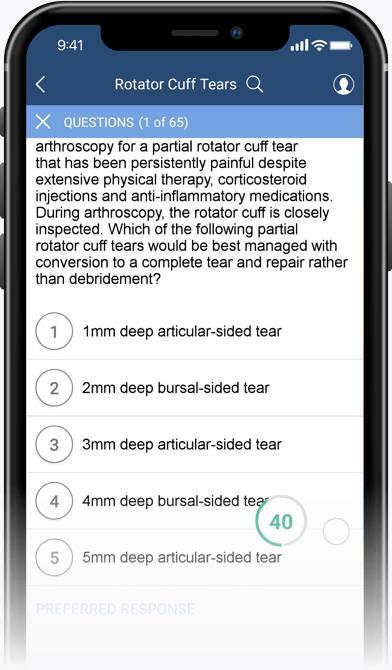 Designed to help surgeons self-improve, and maintain a foundation in surgical skills. 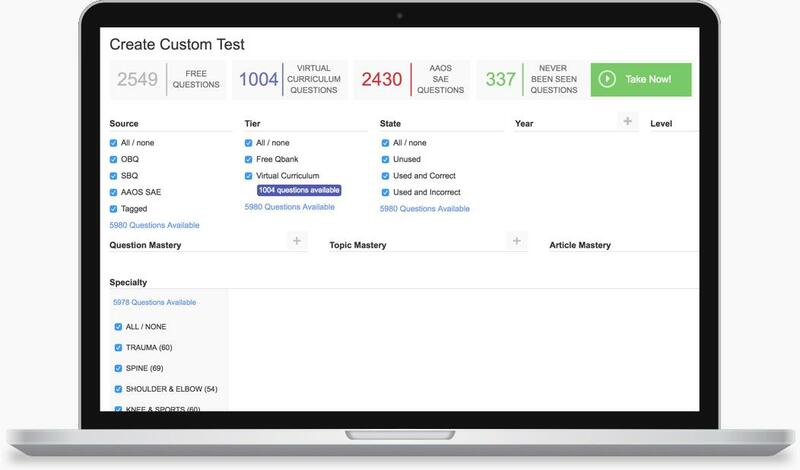 Rate your Mastery on topics, questions, and articles to unlock real learning efficiency! Let the learning magic begin. Monitor Your Progress, using our various tracking tools to help you set short term and long term goals throughout your studying. START YOUR PEAK SUBSCRIPTION TODAY!